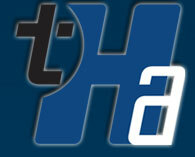 Digital Media: Social Networking is catching the attention of Tobby Hatley & Associates as well as its clients. The Downtown Spokane Partnership is implementing a social networking strategy created by THA for several if its continuing initiatvies. New Intiatives: Digital media will continue to grow. That's why THA has created a college level course that will be offered at Whitworth University in 2010. This will be the only such class in the region and one of the few in the country. This kind of effort continues to enhance THA's value to its clients. Public Affairs: Expanding Downtown Spkokane's Business Improvement District is also in the process. THA is leading the effort on behalf of several West End businesses who see enormous benefits of the BID. Media: THA is in line for several more TV commercials. Stay tuned!